Most website owners know the value of good search engine optimisation, and as I’ve explained in posts before, owning a nice looking website without SEO is like owning a new car with no engine. It might look great but if it doesn’t go anywhere it is useless. These days you need to do more than add a few popular keywords through your website to be found on Google’s results, and you also need to consider that Google now provides different results depending on how you are searching. For example, if you are searching on a desktop computer or a smartphone you will possibly get different results as one device is stationery and the other (the smartphone) is basing your results partially on your location at the time of the search query. And now adding to the mix of search options is the Google Assistant, which comes in many forms, including a mobile App for your phones, as well as integrated into high end vehicles and also the Google Home device. Google Home is gaining a lot of traction for both business and home owners, as it allows the ability to integrate with other devices, such as Roomba floor cleaners, security, music services services such as Spotify, as well as many popular business tools including your Address books, Reminders, To Do lists and many other mobile Apps. One of the best features of the Google Home is the ability to find out almost any information you want just by speaking ‘Ok Google’ or ‘Hey Google’ and the device will provide anything from the latest sports results and traffic updates, to helping you find the best place for coffee that is currently open within a 5km radius. But while all this information is fantastic, it needs to first have all this information available. If you want your business to show up in Google’s Home Assistant results you need to provide Google with this information about your business, and this means developing your website and your online profile accordingly. Around 70% of websites are not developed correctly to factor in local search results, and less than 10% are Google Assist ready. Here are some handy tips to help your website rank across all of Google’s search methods….. This is very easy to do, simply by ensuring your website contains your business location details on the Contact Page of your website, or even better, on the footer of each page of your site. ensure you have street address, as well as State and Postcode, allowing Google to read your details so that you come up in local results. Google’s mobile results are not just based on content, keywords and your location, but will often also rank higher at particular times of the day depending on your trading hours. A website that has the trading hours visibly located on the site has more chance to appear high on the results of Google Maps, Google Home and Google Mobile results if the search is within your trading hours. Obviously Google want to make the results as accurate for people as possible when they are within that region at that time of day. If you list your business on the Google My Business listings, (simply search Google for ‘Google My Business’ to add your business) your customers will have the option to leave a review. These reviews can play a big part in who appears on the top of the results. The more good reviews you have the more chance you have of being on top, so ask your clients to Kindly head over to your page and leave a review. Adding more content to Google shows Google you are actively promoting your business and also gives them more to work with to promote you, so regularly review your Google My Business listing and ensure details are correct. I’ve mentioned through numerous other posts on the Smartfish blog on the importance of building authority to enhance your rankings on Google, and the best way to do this is with regular blog posts. Don’t try and keyword-stuff your site or Google will hate you, and definitely don’t ‘borrow’ content from other websites for your own site, or you’ll get penalised. Write some quality blog posts about your services, industry news, tips and tricks, etc and share them across your social media channels as well. The more information you can share about your business with Google the more valuable you are to them and their customers. Also ensure you keep your WordPress website’s plugins, and WordPress version up to date and have an SSL certificate installed, as Google will be more likely to promote a trusted and secure site over one that isn’t. “OK Google”…time for my next blog post! 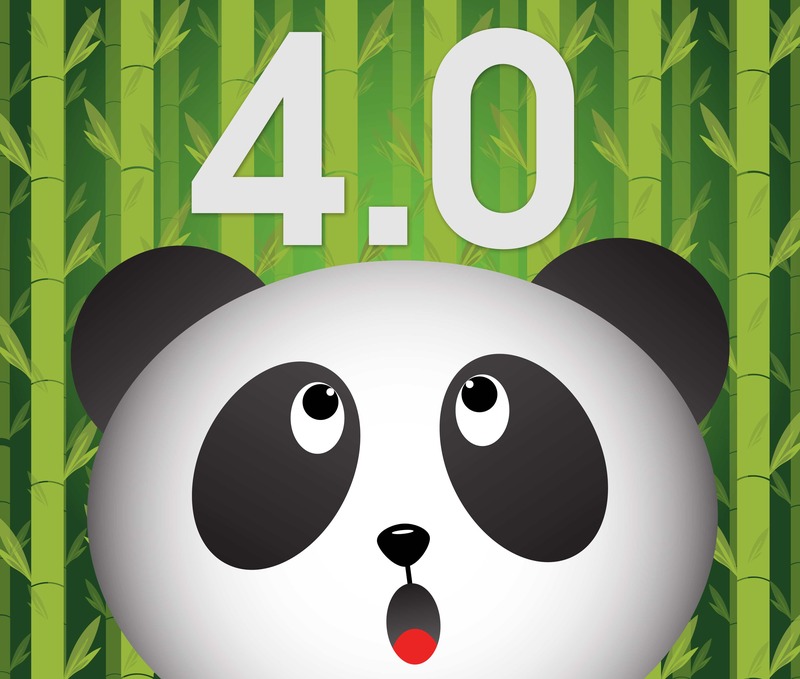 How to make your website Panda 4.0 ready!